Larry the Pug December 11, 2013 What Would Larry Do? I always love when I can get someone else to record a uPerform document for me. 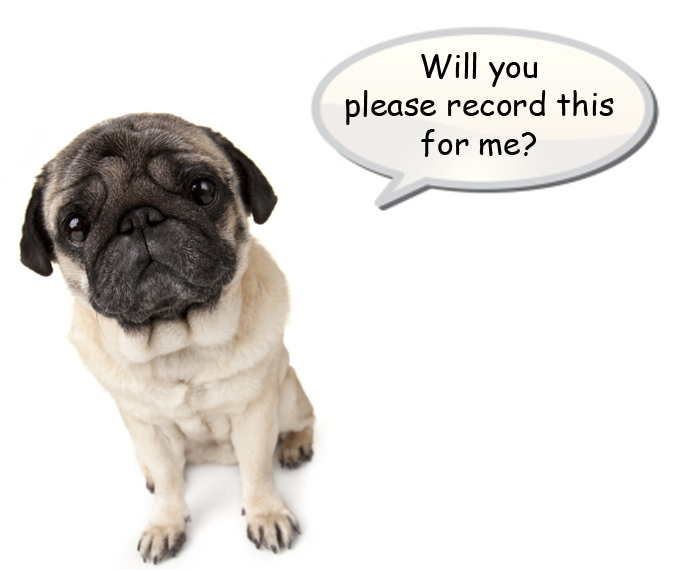 In my case, it is very difficult to record documents because I don’t have opposable thumbs. For you, it might be a problem if you don’t know the transaction, don’t have access to the system, or just don’t have the time to create the recording yourself. This is why I love the new Crowd Sourced Authoring feature in uPerform 5. Now I can ask anyone with an email address to create a uPerform document or managed document for me. They don’t even need to have a uPerform account or have uPerform installed on their computer! If you haven’t already, you can learn more about the feature in this blog post from the archives! Larry's Favorite Things Day 4: The uPerform 5.01 Patch! Larry's Favorite Things Day 6: A New Home on the Web!